Food is a marvelous thing! As a fundamental human need, it can bind us all together, but in many ways our modern food system divides us from each other, from our place on Earth and from the organisms we rely on for life. You can be a part of knitting those relationships back together by studying sustainable food systems at Goshen College. Whether you’re interested in being a grower of food, a chef, an entrepreneur who makes use of good food for your business or an advocate for making good food available to all, this major will be rich preparation for your career. Learning about agriculture at GC will begin at our very own top-ranked Merry Lea Sustainable Farm — where 10 acres of fruits, vegetables, nuts and livestock are raised — and extends out to a wide network of farms, food businesses and nonprofits that we are connected to in our region. By visiting these professionals and working alongside them and your peers, you’ll pair deep learning about food systems with a wide range of practical skills that will be helpful now and in your future career. 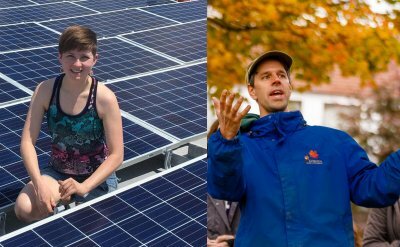 Students who enroll in the nine-week residential Agroecology Summer Intensive (ASI) at Merry Lea Environmental Learning Center all share something in common: they are passionate about sustainable agriculture. ASI is the foundation of Goshen College’s sustainable food systems major and the agroecology minor. Whether you care about high-quality local food, sustainable farming practices or healthy food systems, ASI will empower you to explore your passion first-hand. 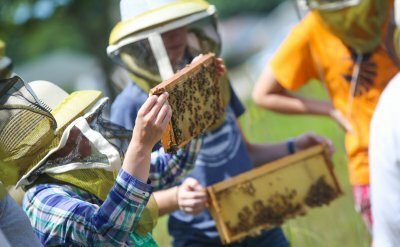 Learn more about the Agroecology Summer Intensive, a unique hands-on experience for sustainable food systems majors and agroecology minors. 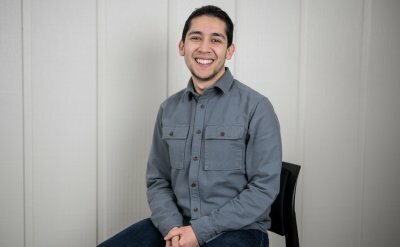 José Chiquito is in his third year as a Sustainability Studies major at Goshen College. He was born in Mexico and has lived in Goshen, IN since he was three years old. Currently he is dedicated to developing his newly launched podcast on ecojustice, identity, and food called Ecotiva Radio. Reena is an environmental science major with an ecology focus who is involved in EcoPax, the Tree Care Committee and Student Senate, and is also a stage manager in the Music Center. "Peacemaking begins with understanding our world and our connection to it -- promoting peace is increasingly about caring for ecological systems on which humans depend." Thomas Leonard is an environmental science major from Columbus, Ohio. He enjoys watching comedies (“Anchorman” is his favorite), cheering for the Buckeyes and listening to the Lumineers and Macklemore.